Sometimes we embrace a challenge with enthusiasm. Other times, embarking on a task feels like scaling a 30-foot brick wall, with negative thoughts running through our mind constantly. Changing those little thoughts can be the key to changing your whole life. Most of us have a list of things we could do to become healthier; maybe it’s boosting fruit and vegetable intake, exercising, or starting a meditation practice. We know that making the change will probably make us look and feel better, and possibly live longer. So, why is it so hard to do? It is hard because change is a complex process. Change is more than knowing what is good for you. Attitude is a critical component. The research on how people with a better attitude do at losing weight is compelling. A 1996 University of Maryland study that compared “believers” (those who thought they could lose weight), to “disbelievers” (those who did not believe they could follow a healthy program). After nine months, believers lost 30% more weight than those who lacked faith in themselves. How do negative thoughts impact health? The answer lies in biology. Your body responds to thoughts or signals that warn of danger with the “fight or flight” response. Your digestion slows, pupils dilate, heart rate increases, all to prepare for the upcoming battle or escape. “Fight or flight” kicks in whether the danger is real, potential or imagined. Negative body image is a good example. If you are deeply dissatisfied with your body, there may be times when negative thoughts take over. 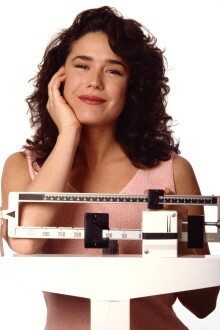 The dissatisfaction reaches beyond the rational desire to lose a few pounds, lodging into a deeper dislike of yourself. When these negative thoughts escalate, your “flight or fight” response is triggered. Once the immediate alarm passes, your hormones orchestrate physical and psychological coping. One common response is a signal to eat, which can exacerbate negative feelings. Negative automatic thoughts are powerful, and can stand in the way of living a full and healthy life, let alone losing weight. Increasing your awareness to thought patterns, and considering a new mindset can foster a more optimistic approach to healthy living. Everyone has attitudes and beliefs that color our life experience, and trigger automatic thoughts. Do any of these negative automatic thoughts sound familiar? People will love me if I’m thin. Better to avoid than to face life’s difficulties. Some people are just happy, some are just miserable, no matter what they do. I feel inadequate therefore I am inadequate. Automatic thoughts can be stubborn. They develop over the course of your lifetime, and are the result of your upbringing and your deepest held beliefs. By first noticing your automatic thoughts, you can begin to consider a different, more positive approach. Begin to identify your own “mental blocks,” and try a “reality blast” instead. Even though­­­­____ I am still a person with value. I can control many aspects of my life. There are many things I can do, such as …. This problem is not my fault, but I can address it. Make a list of non-food rewards. Reward yourself with a walk around the neighborhood while listening to your favorite music, or plan a lunch date with a friend. My client Patty T. schedules a massage when she has stuck to her exercise routine for one month. Practice positive self-talk. Take the exercise in identifying negative thoughts one step further, and give yourself a compliment every day. Client Amy R. says she has learned to encourage herself instead of beat herself up. When she walks out the door after every workout, she tells herself how strong and capable she is. Get moving. Study after study shows that being physically active lifts mood, fights depression, and relieves anxiety and stress. Client Mike W. says, “When I do my workouts I feel much more upbeat and happy”. Learn more about diet and nutrition. “For me knowledge was the key to my attitude change. I learned about portion control and serving sizes; I learned about calories and fiber; and I learned how important breakfast was.” Says client Jill W.
Set realistic weight loss goals. The science shows that people who lose weight slowly, no more than one pound each week, are the most successful at permanent weight loss. Making the commitment, then doing the work to follow a healthy lifestyle is a challenge for anyone. But, by exploring your unique mental stressors, and making a plan that bolsters your attitude, you can develop a lifestyle that is a joy and not a sacrifice, and one that will sustain you for life. Repeat this phrase: Yes I can. At some point, everyone working to lose weight gets frustrated. And some of that frustration can be normal. But if you find you’re continually feeling exasperated perhaps it has to do with your motivation, the reason are you going through the weight loss proves. Ask yourself WHY you are going through the process of losing weight. What is the reason? The reason can provide some insight to your inner motivation. And with the right type of motivation, you can enhance your ability to reduce some frustration. Take a minute, think about it and choose the closest answer below. Which one did you choose? If you answered one of the last two reasons, you may have better results long-term. Study after study shows just how crucial the right type of motivation is to the effectiveness and maintenance of a weight loss or exercise program. The last two responses illustrate the two best types of motivations. These are called identified and intrinsic motivation. It feels important to me personally to attain this goal. This is called Identified Motivation. You chose to lose weight because you value it. You have a positive view of your decision to lose weight. It is a challenge to achieve my goal; it feels good. This is called Intrinsic Motivation. Your motive to lose weight is done for its own sake because you value being healthy. You eat healthy and do some sort of exercise for the pleasure of the activity and you value these behaviors. There is a strong sense of personal importance and meaningfulness. You feel you are on a mission and this produces invigorating emotions such as focus, attention, satisfaction, and challenge. These types of motivation are more likely to keep you motivated for long term and reduce some frustration. To help you tap into those types of motivation answer the following questions. I recommend you sit down with pen and paper and write out your answers. What is the best thing you could imagine that could result from changing? What will be different if you reach your weight loss/health/exercise goals? What would be the good things you would attain as a result of exercising more/eating healthier/sticking to your program? How would you like things to turn out for you in 2 years? What are the positive things you get from working out and eating healthy? Chose to lose weight because you value your personal decision to do it. Focus on the feelings of importance and meaningfulness you get from eating healthy and exercise. Focus on developing healthy daily habits. What habits will push you towards your goals? Develop a plan of daily goals, weekly goals and monthly goals. And then remember to reward yourself for your accomplishments by praising yourself, relish feeling good about doing what you set out to do. 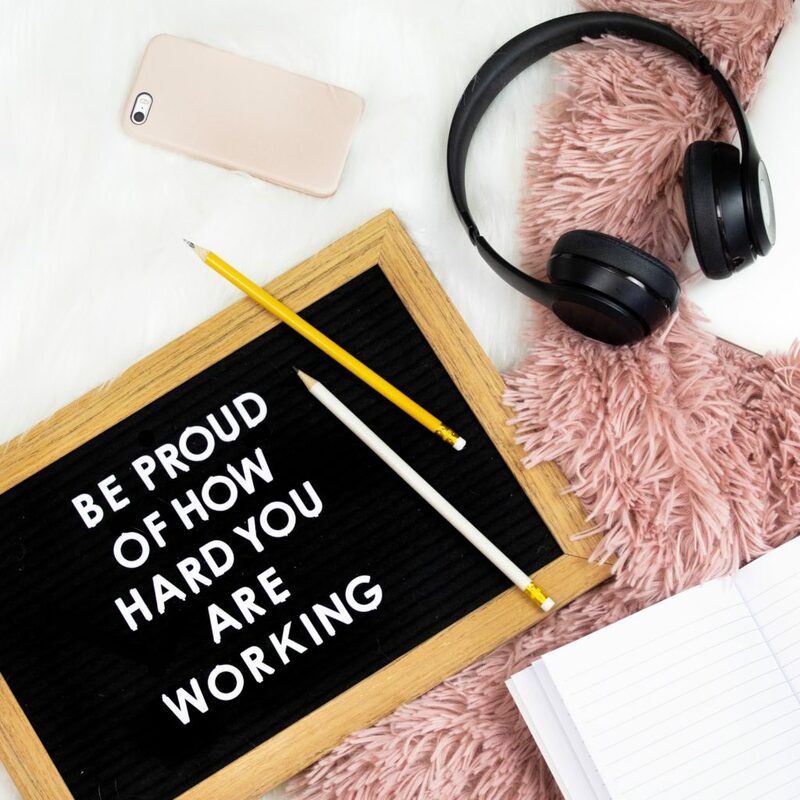 So now go back to the questions with pen and paper and consider your motivations for getting healthier and start setting some goals that will get you there. Some of the most common reasons people cite for beginning an exercise program is that they want to lose weight or gain muscle or tone. They begin exercising full of enthusiasm with these goals in mind but slowly find that enthusiasm and motivation dropping. Getting motivated can be challenging, and continuing the level of initial enthusiasm can be even more challenging. The main motivator is to remember WHY you want to work out in the first place: to improve your health, feel better and look better. Be patient with your workout routine and your desire to see results. Your body didn’t get into its present state in a couple of weeks and it will take more than a couple of weeks to change the current shape of your body. Its helpful if you make it a habit. Working out is similar to brushing your teeth–it’s essential to your good health and if you make it part of your daily routine it will become a natural habit. Determine and maintain a consistent routine. If you set aside Monday, Wednesday and Friday as your days to work out, then try to stick to that schedule and don’t cancel your workout. Enjoy the process of getting fit; feeling stronger and watching your body take shape. Some people get frustrated and give up if they don’t see external changes in their bodies immediately. Don’t let that happen to you. Keep in mind that change doesn’t come overnight, and when it comes to losing weight or toning up your muscles, small changes occur with every step you run and every dumbbell you lift. It’s all worth it. Every time you walk to work instead of taking the bus, you’re strengthening your heart. Each time you work out or mow the lawn or take the stairs instead of the elevator, you’re taking a step toward a healthier life. Even if you don’t see external changes immediately, know that your efforts are improving your body on the inside. The outside will come with your continued work. So keep at it. It takes approximately six weeks to see a physical change from a regular exercise program. Thinking about fitting into that special dress or looking fit for that school reunion can be great motivators. Picture in your mind what you will look like and how good you will feel. In fact, research has documented that you have to have a goal you can visualize before you can handle the trials and tribulations of a new fitness routine-but keep in mind that exercise is critical to your heart and cardiovascular system and not just your ego. Helps you look and feel better. Helps lower blood pressure and susceptibility to diabetes, arthritis and heart disease. Helps reduce stress and increase energy. Improves your immunity to minor illnesses. And if you find yourself still feeling like your motivation, is waning, consider contacting a qualified personal trainer to help. The guidance of a personal trainer can help you stick to your routine. If you’re considering hiring a personal trainer, make sure that trainer is certified, and try to speak to current and former clients of the trainer. The time to improve your health is right now! Don’t wait until tomorrow or next week. Start right now. Go for a walk. Turn on some music and dance. If you can take that first step, then you can be on your way to working out and getting into shape. An investment in your health today will pay rewarding dividends in your future.